As a country the culture is perfect for any wedding where traditions and the Spanish way of life touch your senses. This can easily be incorporated into your wedding theme either by introducing them into your ceremony or party, or by merely being in an environment where guests can enjoy the sights, smells and sounds. One of the most important factors of any wedding is the food. You have the advantage of being able to offer your guests a choice of mouth-watering Spanish cuisine with tapas style starters and freshly caught fish, or traditionally cooked meats for your guests to enjoy. Their taste buds will be tingling. Getting married in Spain opens the door to the most wonderful photographs, your wedding can reflect the different backdrops that Spain has to offer, most of which are within easy reach of each other. These range from natural lakes to picturesque towns and stunning beach views: your album will show an abundance of colours, scenery and settings and your wedding photos will be simply breath taking. Finally your memories will be everlasting! You can transform your wedding celebrations from a one-day event to a long weekend away or an annual holiday. Getting married in Spain allows you time to spend with friends and family who can share in remembering all aspects of your wedding celebrations for the rest of your lives. 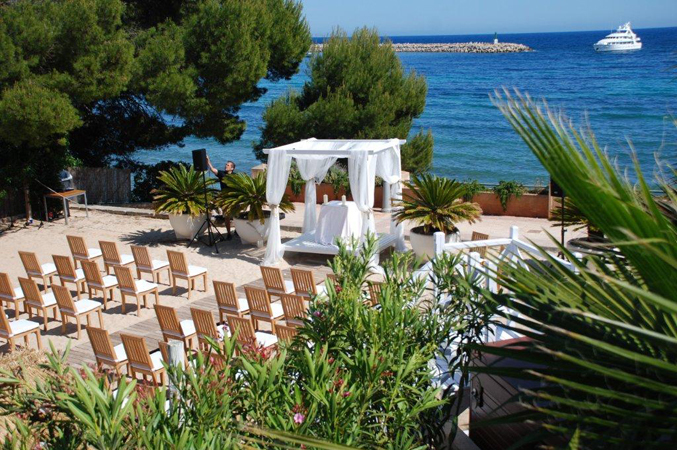 Sunshine Weddings Spain can help your dream wedding to become a reality!